It is usually considered that a girl can never have a good relationship with her father’s second wife. But the kind of relationship that Sara Ali Khan shares with her step-mom Kareena Kapoor Khan defies all these things. The modern family of Kareena, Saif, Taimur, Saif’s ex-wife Amrita Singh and the kids Ibrahim and Sara Ali Khan is a great example for everyone. Kareena has always had a strong bond with Saif’s daughter Sara Ali Khan and wants nothing but the best for this new-age actress. 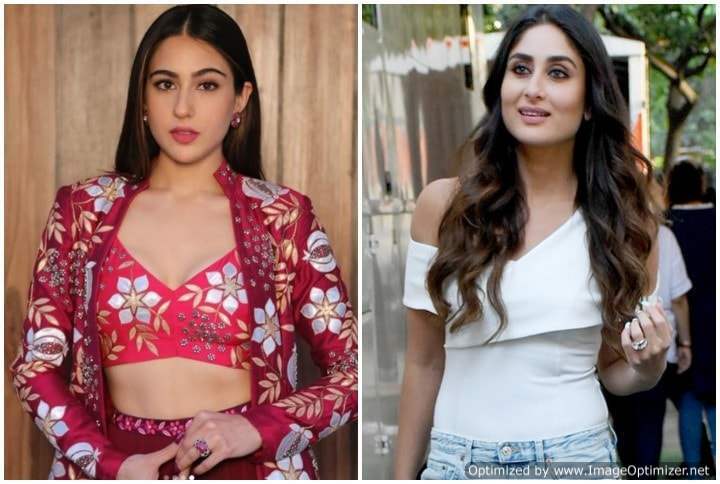 Now, Kareena has once again talked about Sara Ali Khan and you would definitely want to read what she has to say. In an interview with a leading entertainment portal, Bebo opened up about her relationship with her husband Saif Ali Khan‘s eldest child. She specifically spoke about Karan Johar‘s comment on how she would faint if Sara would ever call her Choti Ma. ‘Kasautii Zindagii Kay 2’ Actress Erica Fernandes Shares Adorable Pics Newborn Twin Babies & Fans can’t Stop Drooling!